These are a few informal observations on health care, the nature of the doctor-patient relationship, and related topics. There are three parts. In Dr. Paul Starr’s book, “The Social Transformation of American Medicine,” there is discussion of the historical impact of technology on medical practice. It’s obviously a complex subject, but I’ll touch on one aspect of the topic I find particularly intriguing. It concerns how technology changes relationships. 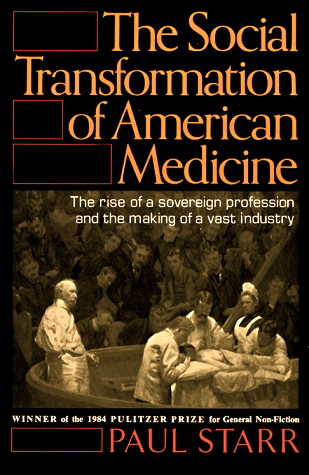 Starr, for example, mentions the impact of the invention of the stethoscope on Western medicine in the early 19th century. He notes that before this instrument came into use doctors would listen to the heart by putting their ear against the patient’s chest. With the stethoscope came not only new diagnostic information, but also a greater sense of distance or detached relation between patient and doctor. Using this instrument, the physician’s focus invariably turned away, however subtly, from engagement with the patient and their description of their experiences and body sensations and toward clinical interpretation of internal sounds. These sounds were incomprehensible to the patient. In a sense, the stethoscope is a metaphor for the direction of Western medicine over the last two hundred years. Medical technology can reveal valuable information to better understand illness and disease, but it comes at the price of an industrial healthcare system (at least in the United States) in which expensive, high-tech test procedures and pharmaceuticals promoted by for-profit corporations exert disproportionate influence over medical care. The humane core that should be at the center of medical care is under constant threat from corporate medicine. Yes, we need stethoscopes, but we also need compassionate physicians who observe and engage and develop relationships with patients, who do more than just “examine” Patient A who presents with a particular set of symptoms. In 2008, I was in an out-of-state hospital with what I will now refer to as a heart-related incident. At the time the doctors in the hospital called it a mild heart attack (news delivered to me by telephone even though I was in the hospital!). This diagnosis was based primarily on a blood test spread out over several hours that showed a slight elevation in troponin levels (i.e., a protein in the heart muscle considered a diagnostic marker for myocardial infarction). What precipitated the visit to the ER were physical symptoms (i.e., pain in right shoulder, anxiety and rapid heart rate). The cardiologist wanted to do an invasive angiogram procedure, but I said no. Instead, I had a nuclear imaging test that showed “indeterminate” results. I left the hospital a day and a half later with prescriptions for blood thinners and blood pressure medicine. I also left distressed. Back in Oregon a few weeks later, a skilled acupuncturist-teacher at the National College of Natural Medicine (NCNM), taking my pulse, offered the observation that he didn’t think I had experienced a heart attack. Later, another NCNM doctor from China offered the same thought. The cardiologist at Oregon Health & Science University (OHSU), who to his credit was reserving judgment about whether I actually had a heart attack, was suggesting I follow-up with a 64-slice CT scan, an advanced diagnostic technology not available in the Illinois town where I had been hospitalized. I was hesitant about further testing, if only because I feared more “indeterminate” results would put me on a path for more invasive testing. I hadn’t had a major event, so it wasn’t imperative that I follow this course. The paradox of the moment was that the reassurance from two experienced practitioners of Traditional East Asian Medicine about the state of my heart actually convinced me to have the CT scan. If the test was likely to confirm more encouraging results, I wanted to know, if only for the added psychological relief. It did. I got a call from the cardiologist a couple days after the CT scan that the test showed no heart damage. In fact, I had not had a heart attack. He pointed out that the rise in troponin levels in my initial report were low enough that not all cardiologists would have immediately diagnosed a heart attack. While there was some plaque in the arteries, he added, the arteries were open and my chances of having a heart attack in the next three to five years were minimal. I was grateful for those diagnostic images. I also found myself thinking that these acupuncturists, using only their fingers and their clinical training in traditional pulse diagnosis, were able to see into the body in a way that matched the multi-million dollar machine used by the Western doctors. Lesson learned. What does it mean to be a patient in today’s healthcare system? If you’re lucky, it means having the insurance to pay the often exorbitant costs that now define much of the care provided by American healthcare providers. If you’re unlucky, it also means having health insurance that extorts exorbitant premiums only to then burden the patient with even more exclusions, co-pays and limits in coverage. Insurance means you pay, and then you pay some more. For those with ongoing health issues such as chronic fatigue syndrome (CFS) and similar conditions, getting appropriate and useful health care can easily translate into an excessive financial burden, insured or not. 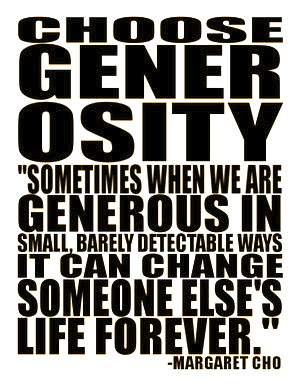 Needless to say, worrying over excessive financial burdens can become a barrier to healing in itself. 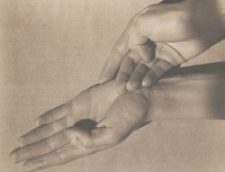 Years ago I knew an acupuncturist in Evanston, Illinois, John Nabors, who practiced a Korean form of the medicine taught by Sung Baek, the 73rd grandmaster of the Dong Han Medical Daoist lineage of Korea. His teacher was considered quite brilliant, but was also expensive to see as a patient. John himself treated many patients at a modest cost and some even at no charge. The latter were often people with MS or other disabling conditions who couldn’t work much or at all and had little money. Many were on disability. John told me once that if illness had reduced a person’s ability to earn money, then what was the point of a treatment whose cost only added stress to the patient’s life? He didn’t think he was helping anyone if they were going to be stressed about what he was charging them. John could afford to operate this way because he otherwise had a thriving practice, never advertising or even taking appointments. He worked in Evanston two half days and one full day a week. The rest of the week he worked several hours at an osteopath’s office in Indiana and a church clinic on the south side of Chicago. I would hardly describe him as a “New Age” type, nor necessarily even that politically minded. But he had grown up poor in an African-American family in Ohio in the late 1940s and 1950s, and I think this imparted in him a basic instinct to help those with little. He had earned a track scholarship to college in the early 1960s and later went on to a successful career in insurance, before turning in mid-life to the study of acupuncture. 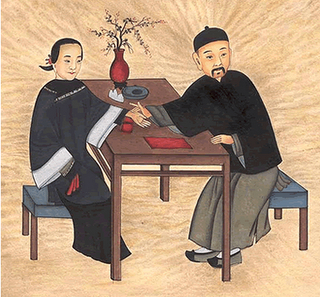 His acupuncture clinic was called the Jiang Jing Institute. I used to wonder how many “institutes” were decorated with a hodge-podge of mismatched furniture from second-hand stores, run by a man who carried an assortment of herbs around in a large duffel bag that sat next to the spare tire he kept in the back seat of his old gas-guzzling Oldsmobile. John’s Evanston clinic was almost like a community center, with some of his regular patients, for whatever reasons, tending to hang out there for hours on the days it was open. I suspect at times on busy days John would have preferred that they go home following their treatments, but he would never say so. Of course, John was not without his faults. His record keeping was haphazard and he had a tendency to talk about some patients in a casual way with others. That’s how I knew he didn’t always like everyone he treated. But I also knew he never gave up on any patient who wanted his help. Some were very grateful to him and would bring him gifts. I sensed such gestures or otherwise praise embarrassed him. He avoided sentiment for a desire to just do his work. I first met him when, suffering from pneumonia, a friend who knew him brought me to his clinic. Later, he helped me with some chronic health issues. He helped in other ways, too. He once bought an old Buick Regal from me that had reached the point I couldn’t drive it more three blocks without the engine dying. Somehow John managed to drive it to Kenosha, Wisconsin where he lived, got it running, and then sold it to a friend of his who owned a body shop on Chicago’s south side (we split the profits). He had a way of making things work, including people. I didn’t see him much the last few years of his life. I had moved three hours away from Evanston, at a time when my health was better. When he heard in late 2005 I had severed the quadriceps tendon in my left leg in an accident, he, with his insurance background, called me up to offer very helpful advice on how to negotiate an insurance settlement. John was generous in spirit, in his life and in his medicine. And when he died in his late 60s more than two years ago of a stroke, I know there were many dozens of his patients from over the years who were deeply affected by the loss of this generous, modest man.